How Far is Adarsh Palm Retreat Daffodils? Adarsh Palm Retreat Daffodils is one of the popular residential developments in Sarjapur Road, neighborhood of Bangalore. It is among the completed projects of its Builder. It has lavish yet thoughtfully designed residences. ‘Adarsh Developers’ – A name synonymous with quality and trust since its inception has built its reputation brick by brick, not just meeting expectations, but far exceeding them. "Customers come first" is a motto zealously followed by our Chairman Mr. Jayeshankar, a management expert with a civil engineering background. His passion has percolated down the line forming the backbone of our organization. As a result, the Adarsh projects need no advertising, they are sold by our happy customers, and their word of mouth ensures each project is sold out even before it leaves the drawing board. 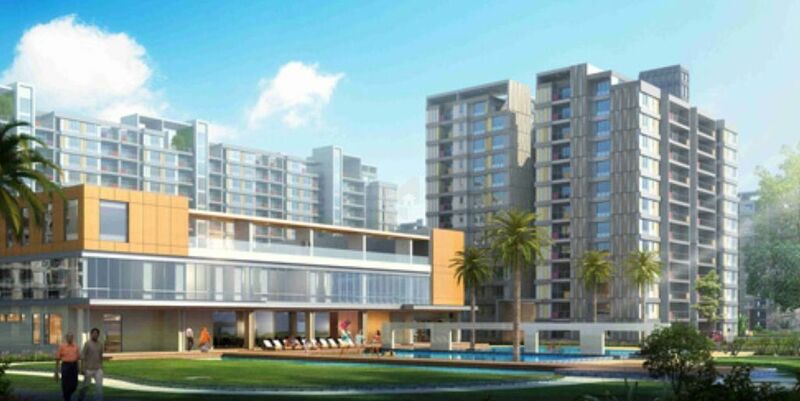 Our dictum at Adarsh group, is to develop high quality customer centric properties. Unlike others, this is more than just lip service. For every project, our team diligently details every aspect of property development giving special attention to accommodate your needs, thereby creating self-sufficient communities filled with a harmonious mix of residential and commercial projects. Building beautiful homes that are nestled in natural surroundings yet a stone’s throw away from the hustle- bustle of the city is a dream we have been realizing for over two decades. An ‘Unprecedented Superior Lifestyle’ is what we promise, and what we have consistently delivered. This has gone towards making us the most valuable property developer, known for creating urbane, amenities-rich communities.